Η SsangYong έδωσε τις πρώτες φωτογραφίες και του Tivoli, του νέου της μικρού crossover της B κατηγορίας. Αποτελεί ουσιαστικά την έκδοση παραγωγής των SsangYong XIV-Air και XIV-Adventure concepts που είδαμε στο Παρίσι τον περασμένο μήνα. Το όνομα προέρχεται από μια ιταλική πόλη, την Tivoli, 30 χλμ έξω από τη Ρώμη. Έχει μήκος 4.195 χιλιοστά και με μεταξόνιο 2,6 μέτρα, προσφέρει αρκετά ευρύχωρο εσωτερικό. Κάτω από το καπό του συναντάμε έναν 1.600αρη κινητήρα βενζίνης και έναν 1.600αρη κινητήρα πετρελαίου, οι οποίοι πληρούν τα πρότυπα του Euro 6. Και οι δύο συνδυάζονται είτε με ένα 6-τάχυτο μηχανικό είτε με ένα 6-τάχυτο αυτόματο κιβώτιο, με τον diesel κινητήρα να εκπέμπει 110-120 γρ/χλμ CO2, και τον βενζινοκινητήρα 140-150 γρ/χλμ CO2. Οι πωλήσεις του SsangYong Tivoli θα ξεκινήσουν στην Νότιο Κορέα από τον Ιανουάριο, ενώ στον υπόλοιπο κόσμο θα πωλείται στα μέσα του 2015. 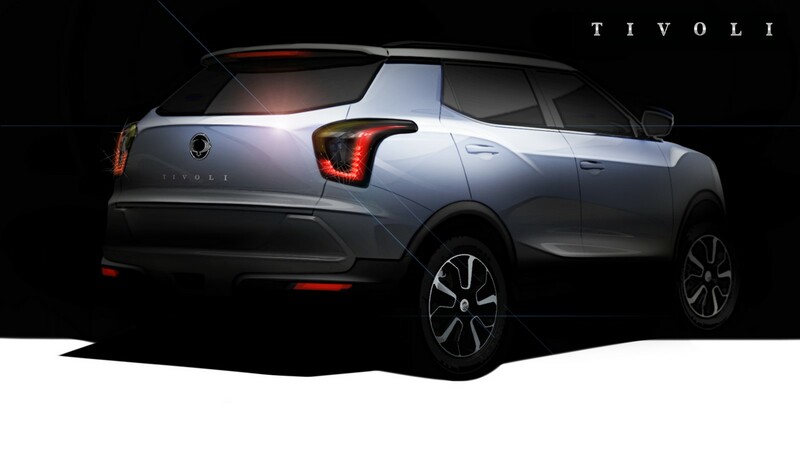 SsangYong Motor Company CEO, Yoo Il Lee, has announced the name of the company’s all new B-segment crossover – Tivoli. 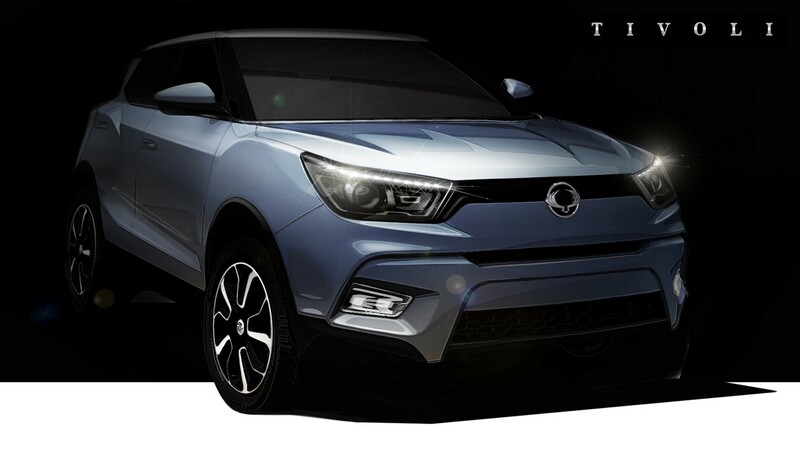 Under development for the past three years and seen in concept form at recent international motor shows with the project name X100, the new Tivoli will be launched in Korea in January, 2015. 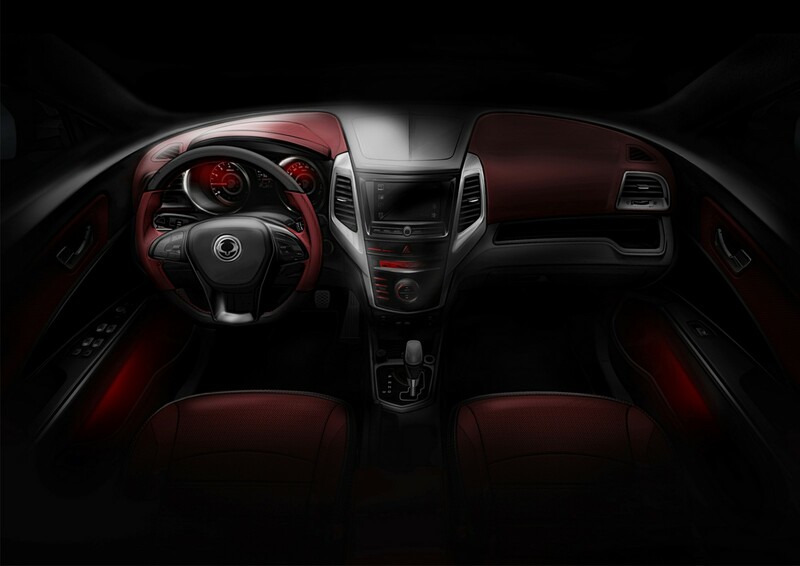 Together with its name, SsangYong has also revealed the latest rendered images of the car’s exterior and interior. The exterior features the look of a dynamic, urban SUV with a modern silhouette, and embracing the rhythmical motion of SsangYong’s new design language. The interior offers the modernity of a luxurious living space, with a stylish and contemporary look. Designed to offer driver and passengers easy connectivity to their IT devices, it also brings style, practicality and plenty of storage space. The new car takes its name from Tivoli, the Italian town near Rome with a reputation for style. Noted for its cultural heritage and beautiful location, the gardens at Villa d’Este have inspired many others to use the name, including the Tivoli Gardens in Copenhagen. The new model gives the car an international standing, while complementing SsangYong’s heritage as a specialist SUV brand. SsangYong has worked intensively on both design and product quality for this new car, using extensive analytical market research to create a new compact SUV that will set the trend in this segment of the car market. The Tivoli will go on sale in Korea in January and globally during the second quarter of 2015.